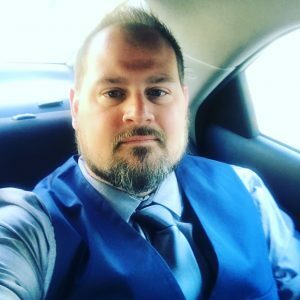 This past week I was invited to share a success strategy called “Monetizing Your Customer Journey” to a group of health professionals who were starting their journey into online business. It’s always inspiring to hear an entrepreneurs initial story on why they are going into online business in the first place. Sometimes it’s out of necessity, needing to build a revenue source. Sometimes it’s out of service for humanity and wanting to help more people. Often times it’s because they have an idea, a message or a vision that is burning inside of them to get out to the world. I understand all of those as I went through the same journey when I went into online business. It was a struggle. Trying to build an audience & get my message out while building a platform felt impossible. I still remember my first attempt when I tried to host a webinar. I was so excited, spent so much time preparing and getting ready. Then when I showed up there were crickets. I was devastated & considered giving up. Fortunately for me, and the tens of thousands of people I’ve helped I didn’t. I gave it one more go, but this time I tried something different. And it worked. I collected 5,000 leads & generated $32,000. Fast forward 3 years & more than 5 million dollars and now I help other entrepreneurs on their journey to scale their businesses. The strategy I specifically taught this past weekend was one that is super valuable to ALL online entrepreneurs. 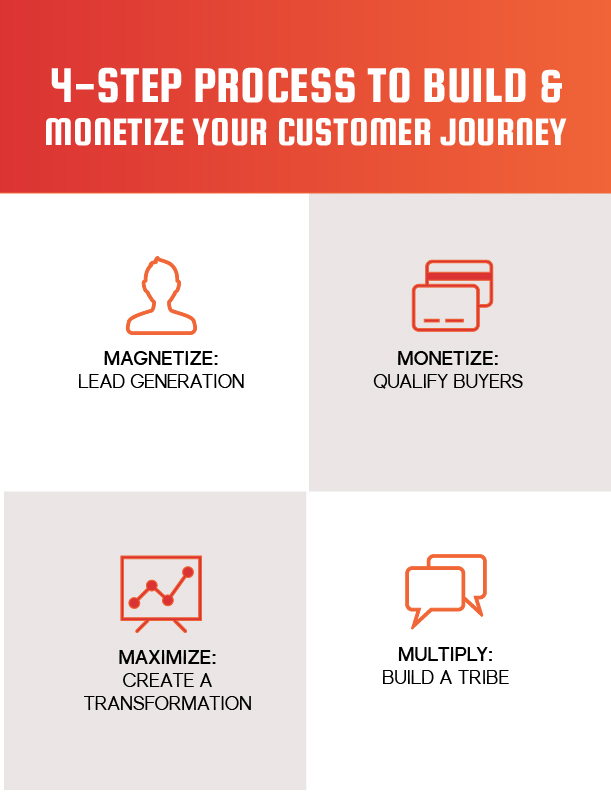 It’s the customer journey & how to monetize their online businesses in a strategic (& proven way). The great news is this strategy is pretty simple and straightforward. If you want a full training video on this specific strategy you can grab it here! Getting a little more specific in the strategy what we cover is a framework that moves someone through the stages of a relationship, which is ultimately what we need to build in business. We need to solve a problem & create a relationship. In the first phase of this Hustle To Scale Framework we need to focus on bringing people into our world & starting to create that Know-Like-Trust. I always recommend using a One-Day Summit to start this process off. 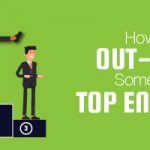 It’s one of the most powerful (& simple) ways to quickly build your list & establish authority with a cold lead. Essentially we determine our audience’s primary problem, and then we solve it quickly through a series of videos, using either experts to teach or teaching the points by your self. 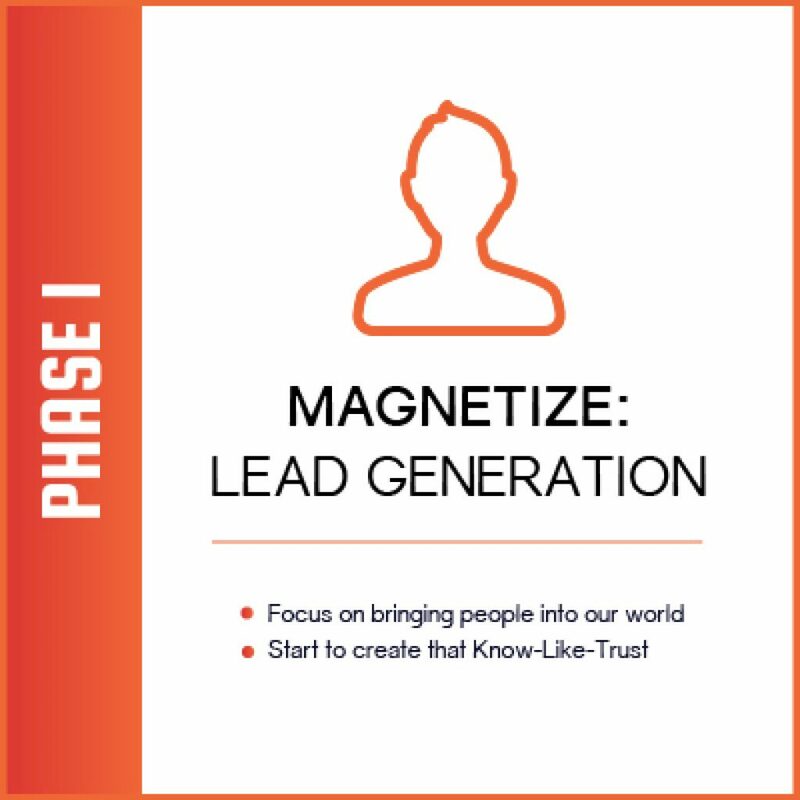 Now that Phase One (Magnetize) is underway we want to move our new subscribers into Phase Two (Monetize). This isn’t to say you won’t make any money on Phase One (you should be covering at a minimum your ad spend), but this is the first time we will really start to scale up by generating a good amount of income by delivering another solution to the primary problem. 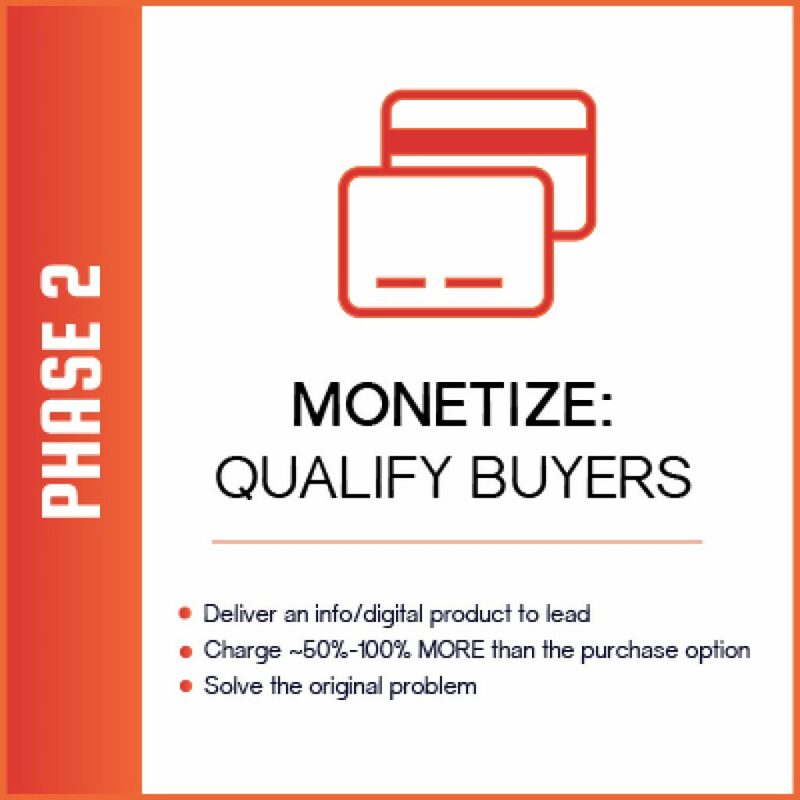 In Phase Two we deliver an info/digital product to the now warm lead that is directly related to that original (same) problem they opted in for. Typically this is in the form of an online course, but doesn’t have to be limited to that. From a pricing prospective we are going to charge approximately 50%-100% MORE than the purchase option that was presented in Phase One. This will typically fall anywhere from 7 – 14 days after the Magnetize Phase. The most important aspect of this is that the course solves in a single step-by-step fashion the original problem that the subscriber opted in for in Phase One. Now we are taking the warm lead and turning them into a Hot Customer. We have qualified our buyers, and created an even more engaged audience, while continuing to build Know-Like-Trust. It’s time for Phase Three (Maximization). It’s time to create a Transformation. In the previous phase we solved a single problem. Now in this Phase we are going to solve all the problems & provide all the resources needed to successfully create this transformation. Most commonly this is done through a digital product, but can be created in any format that resonates best between you and your audience. This could be a live event, a coaching program, a mastermind group, or any thing that allows you to create the transformation needed for your audience. Since this is now a much more involved process and creating a much more significant outcome we are going to charge a High Ticket price point. This should be anywhere from 1,000%- 10,000% more than your original price point. 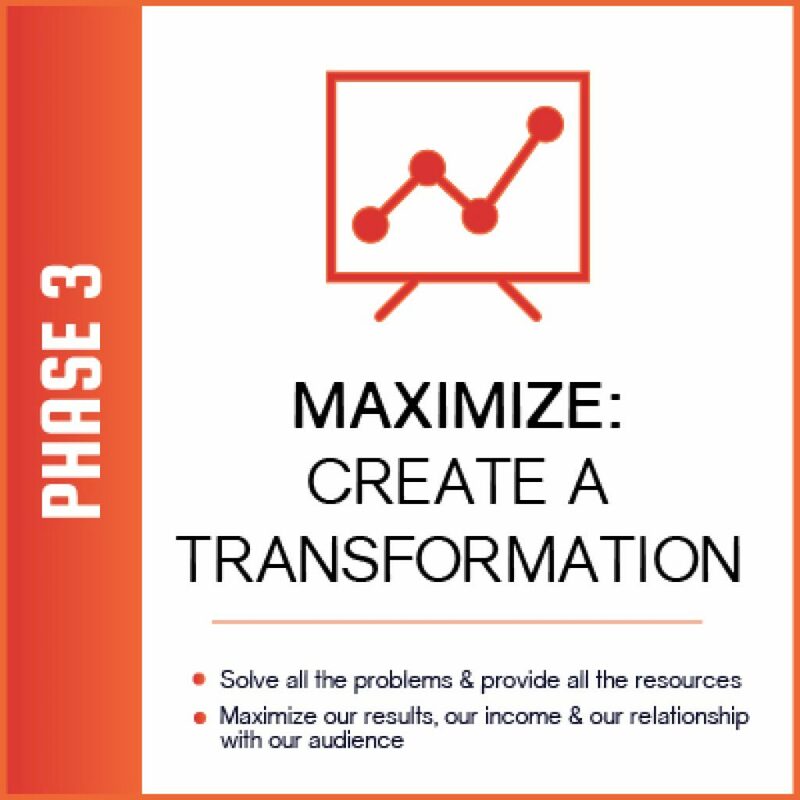 In Phase 3 we are maximizing our results, our income & our relationship with our audience. Our client should at this point be moving from Hot Customer To Nuclear Fan (or Raving Fan). The final component is Phase 4 the Multiply phase. This is where we build our Tribe and create on going success strategies for our audience. The most common misconception here is that you should be the one solving your audience’s problems & coming up with all the solutions. 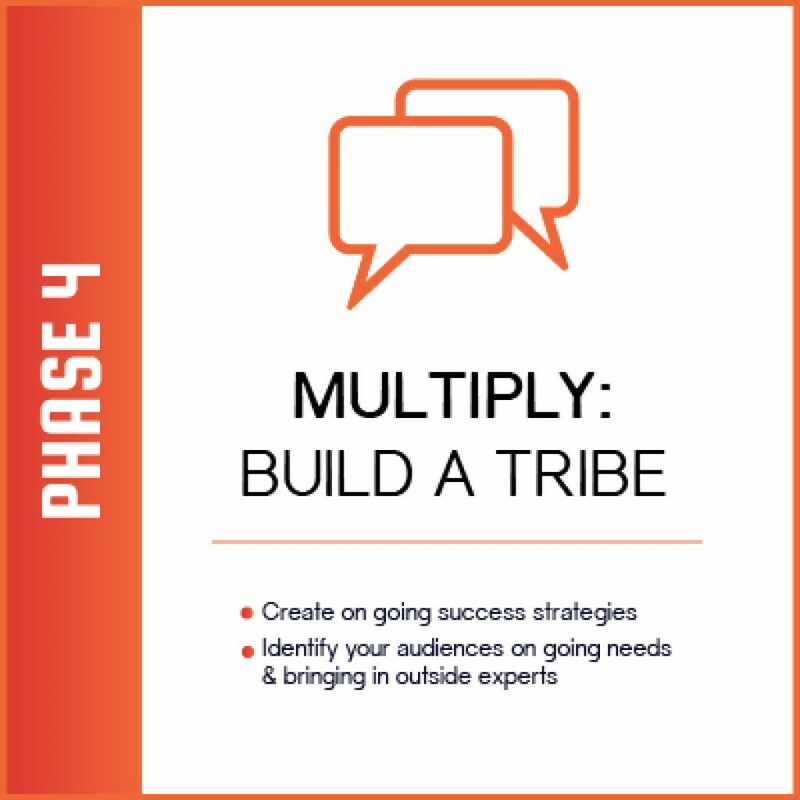 In this phase you should be identifying your audiences on going needs & bringing in outside experts into your community to allow your tribe to have access to new and effective success strategies. You don’t need to have all the answers. You need to provide a community where your Tribe can get their problems solved. This is what will keep them coming back to you forever, and create an engaged and satisfied tribe. Phase Four (Multiply) is about membership & creating recurring revenue. This is a commonly overlooked, or avoided area in online business. However, without recurring revenue your business is just one bad month away from failure. Don’t let that happen. Follow this straightforward and simple framework to build a scalable online business. 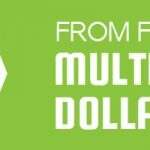 When you put this together you will be able to generate more income, quicker and easier than ever before. This is what it is all about. You can then continually go back and review your results, tweak, change and improve where needed to perfect this flow of your customers journey. Additionally when you are ready you can create additional frameworks targeting different problems & pain points. Eventually creating multiple flows of customer journeys. Ideally you will have 2 – 10 of these Hustle To Scale frameworks each generating 5 – 7 figures. Together you will have a successful, scalable online business that makes you happy & creates a tribe of raving fans! If you want to my guide for the Hustle To Scale Framework so you can build out your H2S action plan you can grab that for free here! The feedback I got from the attendees at the mastermind where I taught this strategy was super incredible. Most of them said this was exactly what they needed to “put it all together”. Several said, it reconfirmed exactly what they needed to hear to be able to piece what they have together into a successful flow. Having built multiple successful companies, this is always my go-to for how I will build out my customer journey. It keeps the process simple & easy, and at the same time gives me a proven & effective framework for success. Remember, It’s Scale Or Fail & The Choice Is Yours!! GET MY FREE ONE-DAY SUMMIT STARTER GUIDE & BUILD YOUR LIST IN A DAY! ACCESS GET THE STARTER GUIDE FOR FREE HERE!